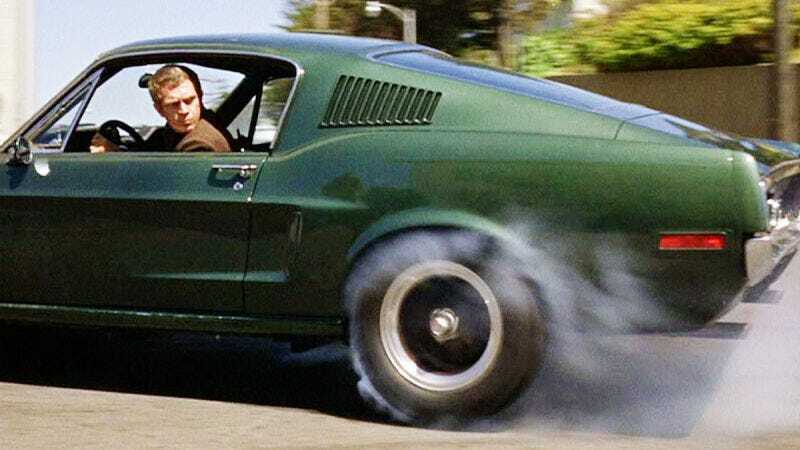 How Much Is That Supposedly Original Bullitt Mustang Going To Be Worth? Last week a ratty old Mustang was dragged out of a Mexican junkyard that may in fact be the car from Steve McQueen’s Bullitt. Experts now seem pretty certain it’s the real deal. Given McQueens’s god-like status among car guys and the movie’s 50th anniversary coming up, who wants to play Price Is Right? Marti says that the VIN plate is for sure original, matches dates stamped into the car’s body panels, and modifications made for filming such as strut tower reinforcements and lines drilled for power cables are present and correct. Apparently, there were two true and original Bullitt Mustangs. One’s currently squirreled away in a private collection, and I guess this one fell through the cracks of time and space. The car is now owned by friends Ralph Garcia, Jr. and Hugo Sanchez, who have thus far decided to hang on to the car despite reportedly receiving several offers on it as-is. The only play here is to sell it, right? Obviously, some collector is going to pay way more than this thing’s worth “because Bullitt.” Then again, I guess something’s worth whatever somebody else will pay for it. So are these guys going to unload it as-is? Spare no expense on the perfect restoration? Or maybe just make it look presentable and hawk it as soon as possible? What would you do, and what would you sell this thing for?